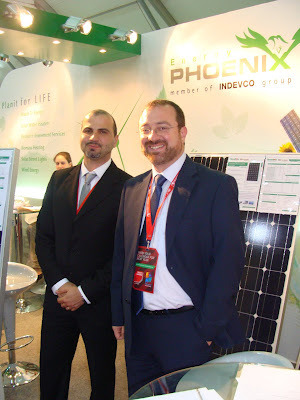 Phoenix Energy, supplier of renewable energy products and solutions, exhibited Solior FL 150 solar water heaters and ReneSola 250 Watt photovoltaic (PV) panels, as well as met with Project Lebanon 2011 attendees at booth # L26. 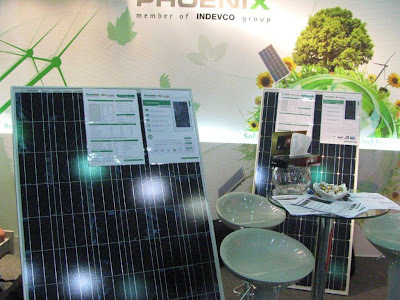 Phoenix Energy is the sole distributor of Solior FL 150, produced by ITHO, Netherlands, and PV panels by ReneSola, China, for the Middle East and Egypt. 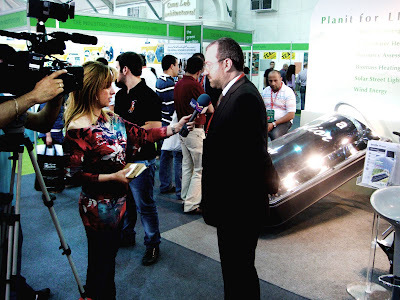 The event, held at the Green Pavillion in Beirut International Exhibition & Leisure Center (BIEL) from 31 May – 3 June 2011, brought together representatives from various sectors in the construction industry. Phoenix Energy, in Safra, Lebanon, supplies solid fuel boilers, solar outdoor lights, and wind turbine systems. It is the exclusive agent of biomass boilers from D’Alessandro Termomeccanica, Italy, in Lebanon. The renewable energy solutions supplier offers turnkey commercial projects to the Middle East and North Africa (MENA) region, using renewable energy resource assessment services and waste-to-energy systems.